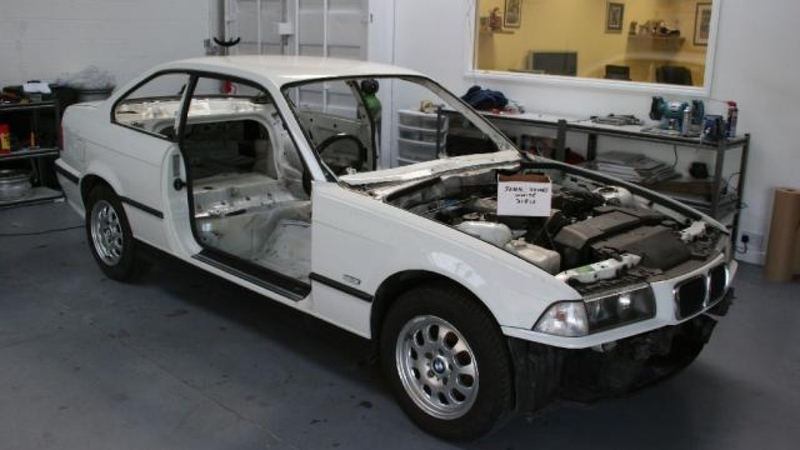 The kind blokes at speed religion have sent me some photos of the car before they start to fit the cage. They have removed the doors, bonnet and all the windows. They are going to start to put the cage in, once they have done fellow kumho racer (Ralph’s) car which went into there workshop 2 weeks before mine. Once the cage is in the suspension will have to be sorted, as if you look at the car at present it looks like a 4×4, the cage will add about 50kg to the weight but I have removed about 125kg with the interior and soundproofing.